Author of a dozen books, including the bestselling Timeless Secrets of Rejuvenation and Health and Cancer is Not a Disease, Andreas Moritz takes on yet another controversial subject, this time to expose the Vaccine Myth. 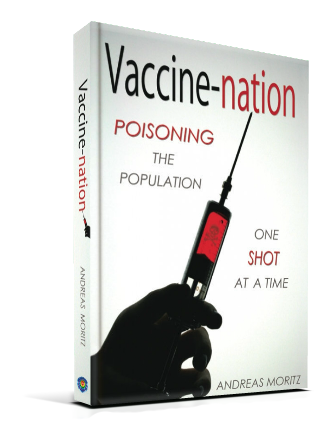 In Vaccine-nation, Moritz unravels the mother of all vaccine lies – that vaccines are safe and they prevent disease. Furthermore, he reveals undeniable scientific proof that vaccines are actually implicated in most diseases today.